This post is part of a guest blog series by Kelsie Parsons. 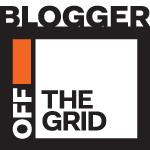 See the recent Globe and Mail piece about his travels. 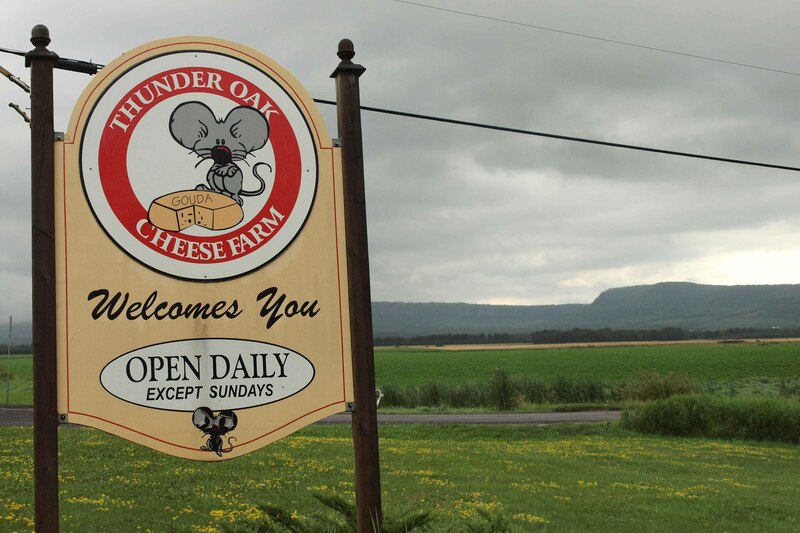 Thunder Oak Cheese is famous for their Gouda. The Schep family produces aged and flavoured Goudas on their family farm in Thunder Bay, Ontario and are the only Canadian cheesemakers within a 650km radius! It wasn’t until more than 30 years after Jacob Schep’s first trip to Thunder Bay that he began commercially producing cheese. Jacob Schep arrived in Thunder Bay from Holland as an exchange student in 1968. His dream was to work on dairy farm but unfortunately he was placed on a potato farm instead. 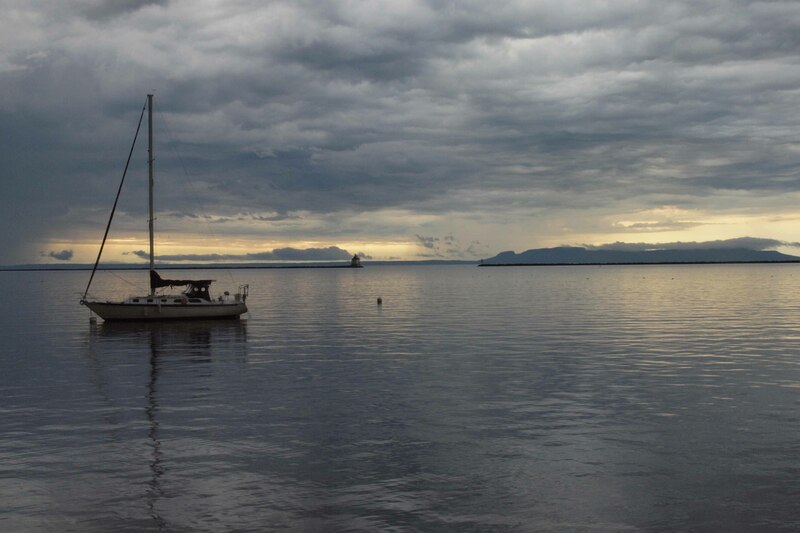 The following year Jacob returned with his partner Margaret to show her the land that he loved but after a 3 day train ride from Montreal to Thunder Bay, Margaret decided it was too remote and too far from her family. Back in Holland, Jacob and Margaret ran a dairy farm for 10 years but they found there wasn’t land available to expand so in 1981 they immigrated to Ontario and the following year they set up a dairy farm in Thunder Bay. Their cheese factory opened in November 1995 and in 2007 their son Walter and has wife Joanne took over the cheese production. As Margaret recalls the past 30 years she laughs and says she never wanted to marry a farmer, move to Canada or end up making cheese but she ended up doing all of the above and seems incredibly happy. Walter Schep is a 6th generation cheesemaker and his family still makes cheese in Holland and Belgium. 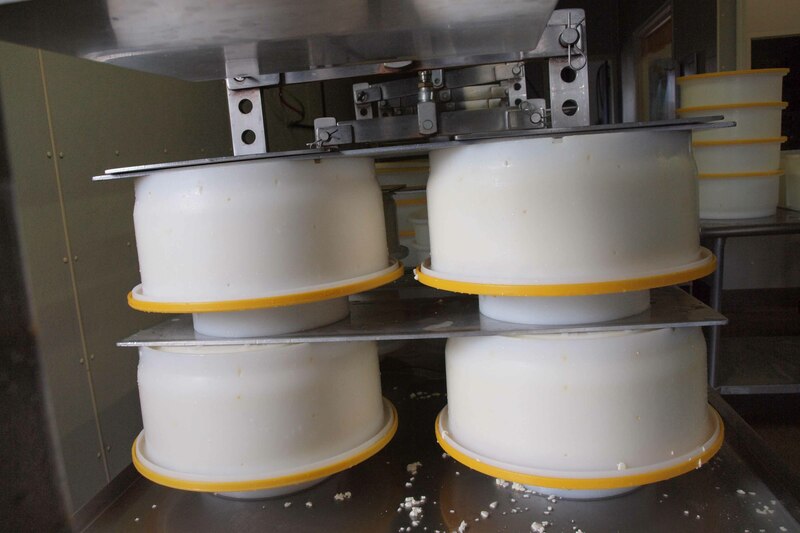 His mother, Margaret, explains that their Gouda recipe has been passed down through her family for generations but making cheese is a lot like making cake – everyone in her family uses the same recipe but there are small differences in the final product. The cheeses at Thunder Oak are a rainbow of colours and cover a huge range of flavours. 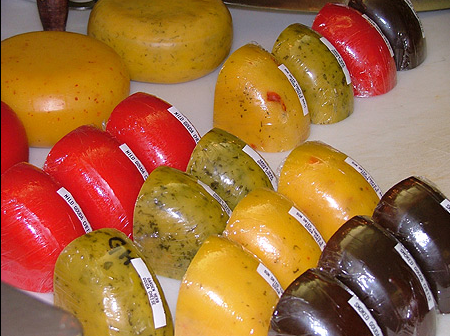 In total they produce 12 varieties of flavoured Gouda including sun-dried tomato, nettle, smoked, classic cumin spice, and jalapeno, their most popular. They also make regular Gouda at 4 ages (mild, medium, old, and extra old) and Maasdammer which is the size and shape of Gouda but has holes and a flavour similar to Swiss. Due to the demand for fresh curds Thunder Oak began selling Gouda curds, which are less salty than their cheddar curd cousins but equally as delicious. For anyone traveling across Canada or visiting Thunder Bay, Thunder Oak Cheese is a must stop destination. Visitors have a chance to watch Walter produce cheese every Monday, Wednesday and Friday morning and of course there are plenty of samples too. 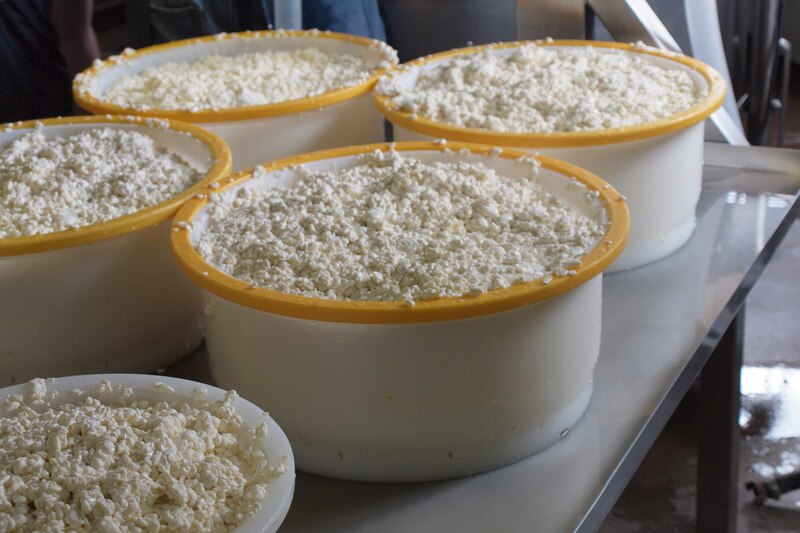 Thunder Oak’s cheeses are so popular locally that they can often be hard to find across the country. *A Gouda joke is obligatory in any article about the classic Dutch cheese. 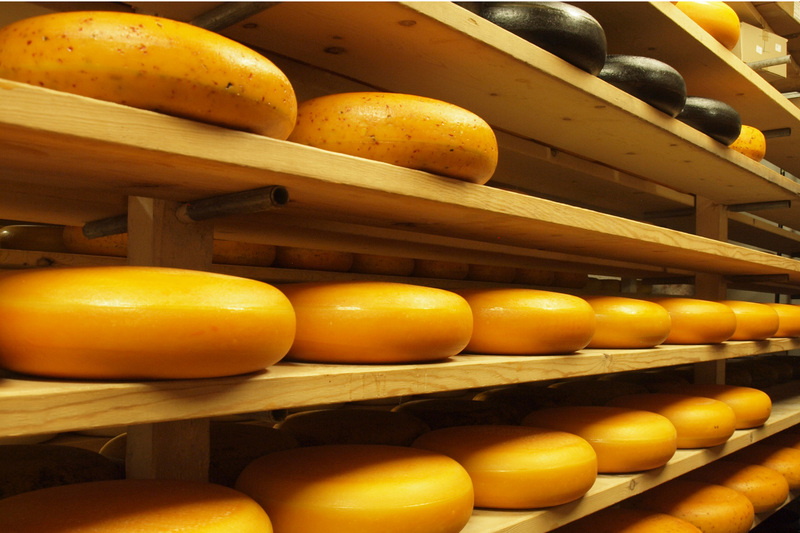 Read more about the city of Gouda itself. For Curds and Eh 1 (the itinerary), click here , Curds and Eh 2 (Quebec), Click Here, Curds and Eh 3 (Quebec) , click here and Curds and Eh 4 (St.John’s).